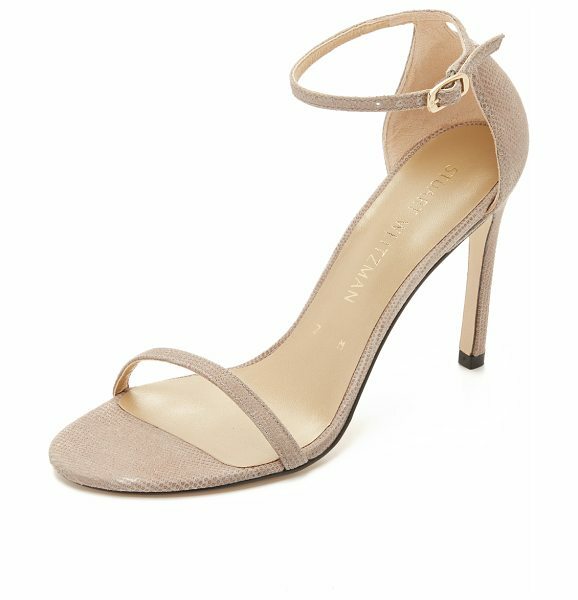 Delicate Stuart Weitzman sandals composed of textured suede. A petite cutout accents the heel cap, and a buckle secures the slim ankle strap. Covered heel and leather sole. Leather: Cowhide. Made in Spain. This item cannot be gift boxed. Measurements Heel: 4.25in / 105mm.